Experince The Difference With Huawei Mobile Wi-Fi Pro. 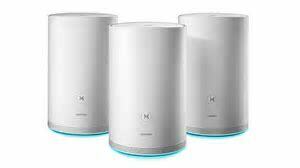 Huawei Mobile Wi-Fi Pro gets WI-FI signal to every nook and cranny of your house, smarter, faster, and safer using it’s 360 degree signal broadcast features. Huawei is now making it easy with their new generation Mobile WI-Fi Pro. Incorporating a WIFI with big storage into a single device this therefore means it’s now easier than ever to share files between your devices, friends and family. With Hauwei’s mobile WI-FI pro, you will get your integrated into a seemly dual link and enjoy the flexibility which it offers supporting your WAN/LAN auto redirect in your devices this means your all connected all through your journey with this single device. Huawei Mobile Wi-Fi Pro features 5200 mAh battery which sounds powerful enough to be a power bank even to charge your other devices. The devices is meant to work effortlessly on it’s own up to about 20 hours straight and stand by for over 500 hours according to huawei mobile-broadbandwebsite. The Typical value. Actual capacity may vary slightly. Charging data obtained by Huawei laboratories. Charging tests are conducted at a temperature of 25℃, in 45% – 80% humidity. ← iPhone SE Is To Feature a Rear Back.